Transport accounts for nearly 25% of global carbon emissions, with 80% of people in cities choosing high-emissions-producing motor vehicles for their private transport trips. However, most trips are shorter than 10km – a reasonable distance to ride – either to your destination or to connect to public transport, ideally with secure bike parking such as Parkiteer. Modelling by the Institute for Transport Studies at University of California, Davis, shows that if bikes and ebikes became 22% of all transport trips in all cities worldwide, greenhouse gas emissions and energy use would be 47% reduced by 2050. Cycling is also space-efficient, allowing more space for trees and green space and requiring less space to be paved with heat-creating and water-displacing impermeable surfaces. You can start reducing your ecological imprint right away – by making your carbon footprint a bike-tyre print for your transport. According to a Queensland Government report, by riding to work 10km each way, you would save 1,500kg of carbon dioxide emissions each year. In addition, you would reduce the motor vehicle congestion that currently adds 13 million tonnes of greenhouse gases across Australia’s six major cities. The Ride2Work program exists to support people to make the most of bikes as their transport to and from work and study. 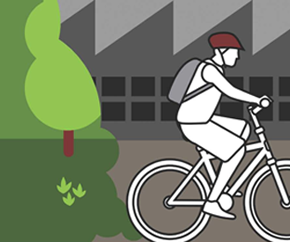 The Ride2Work website provides all the essential know-how you need to get started commuting by bike and to help others do the same. Local trips to destinations such as schools, the shops, the pool and the gym are also ideal distances to ride by bike. Get yourself a basket or panniers and let the bike carry the load for you. To help you use bikes to get to school, the Ride2School program has all the info you need. The Ride2School website has resources for your family and also for getting a riding culture going at your school. The satisfaction of sustainable transport is one of the secrets of happiness that only cyclists know. 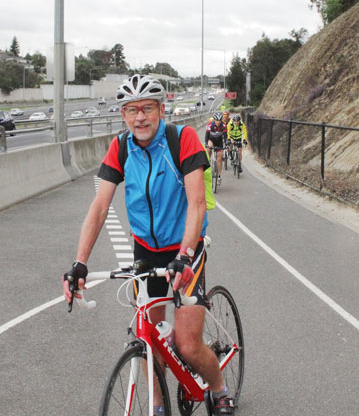 Governments need to develop the networks of bike lanes and paths to help more people to ride. Local government is leading the way with vision for sustainable transport. The City of Melbourne for instance has both a Walking Plan and a Bicycle Plan for improving diversity of access to the CBD, and has also developed a Last Kilometre Freight Plan with the intent of replacing motor vehicle deliveries to the CBD with more sustainable methods such as bicycle courier. National leadership on the liveability of cities now has bipartisan political support, with a Ministry for Cities established in 2015 by the Turnbull Coalition Government matching the opposition’s Shadow Ministry for Cities, Infrastructure and Transport. 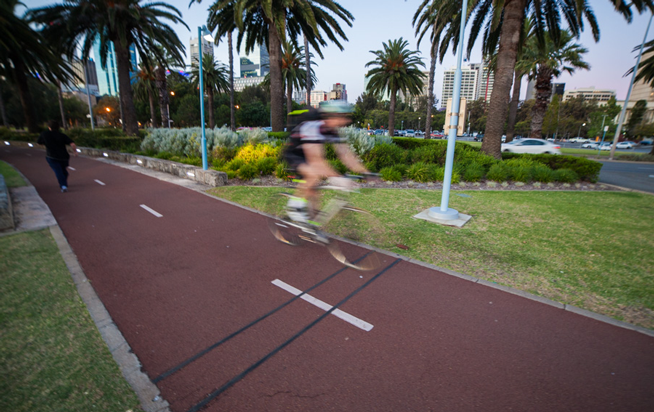 Bicycle Network calls on the federal government to establish Australia’s first national bicycle infrastructure fund to unlock the massive health, economic and liveability benefits of bike-friendly cities. #Togetherwecan develop sustainable transport to its full potential.